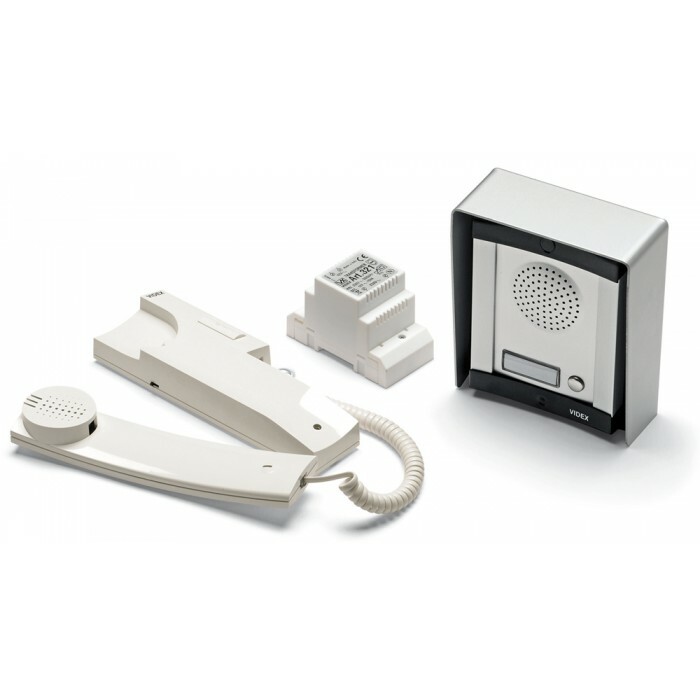 Audio entry kit based on the 8000 Series modular design incorporating two way speech, electronic call tone and lock release facility. The door station is available surface or flush mounting with up to 12 call buttons each with a back lit name plate. The standard finish is a stainless steel facia with aluminium surround. An aluminium facia (/A) and a black surround (/BL) are also available. The telephone is wall mount with a lock release button and a three position call tone volume control. Up to 2 additional telephones can be installed in each apartment. A code lock can be added (/CL). The codelock has 2 codes, 2 changeover relay outputs and an override input. It can be programmed from 1-99 seconds or latching output.